We have provided the UP Jail Warder Syllabus 2019 for the examination. In December 2016, application form was filled for the recruitment of 2311 posts of Jail Warder (1759 male & 552 female). But the selection process was cancelled due to some reasons. Now the new government has made some changes for the selection process and make written examination compulsory for all the candidates. Also the candidates who are qualified in the written examination are allowed for the next recruitment process. 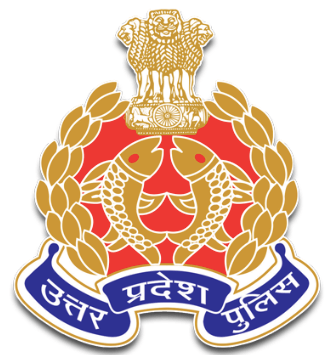 The candidates who are preparing for the Jail Wader vacancies must have go through the Uttar Pradesh Police Jail Warder Syllabus. In the syllabus we have covered all the topics that are coming in the examination. After going through the UP Jail Warder Syllabus the candidates have an idea what are the topics that are coming in the exam and which topics they should focus. For the recruitment on 3638 Jail Warder vacant posts, a written examination will be conducted. So the candidates who are preparing for the same have to prepare for the exams. First there were no written examination and candidates are selected by Direct Recruitment. Now in the government the selection is done by the written examination and Physical Test. So the candidates have also prepared for the written examination. Thus in the below paragraph we have provided the Uttar Pradesh Jail Warder Syllabus. The candidates also download the UP Police Jail Warder Syllabus from the below paragraph or from the official website i.e. www.uppbpb.gov.in. It is also available there. Also the candidates can download the Previous Year Question Paper for the better preparation. Stay connected with us for the latest updates and visit us for the new information related to the government exams. Important Note(06 April 2019): We are informing you that the written exam date will be announced very soon for this recruitment. In this article, our team has shared all the details regarding the exam pattern and the syllabus of the written examination. You guys can also see the complete syllabus of the written examination here. If you guys searching for the UP Bandi Rakshak Syllabus, then you are at the right place. We have provided you the direct link to download the syllabus from the official website. You do not have to run here and there to get the syllabus for the written examination. Guys, if you have any problem in downloading the UP Jail Bandi Rakshak Syllabus then you can reach us by commenting in the comment box. We give our best to provide you the good solution. Visit our site regularly for latest updates on any government exam. We wish you luck. Candidates those fill online form will be able to appear in written exam. But this is not enough. They have to prepare well enough according to Uttar Pradesh Jail Warder Syllabus. Then they will be able to clear written stage. One thing i would like to tell you. There is no less completion in this exam. You have to put your 100% effort to pass same. If you dont look at UP Jail Warder Syllabus, you will miss many important Topics. If you need any other help, you can ask in the comment section. Our team will help you get same.